Keeping your home cool in the summer can be a challenge, especially if you are on a tight budget. Fortunately, adjusting the settings on your thermostat can help you to improve your comfort and cut your energy costs. Here are four tips for setting your thermostat for summer. Choosing the right thermostat can help you to control the temperature, humidity and energy consumption in your home. 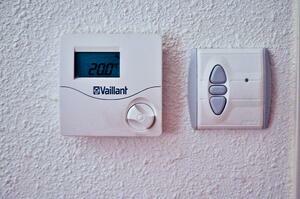 Most programmable thermostats are electromechanical, digital or both. Digital thermostats offer more programming options than electromechanical thermostats and are ideal for those with a busy schedule. Programmable thermostats are not universal, so it is essential to choose a model that is appropriate for your HVAC system. Most programmable thermostats have four settings: wake, away, return and sleep. Setting the start and end times for each period can help you to adjust the temperature of your home based on your personal schedule. For best results, program your thermostat to shut off 30 minutes before you are due to leave the house and turn on 30 minutes before you are due to return. Setting your thermostat for summer can help you to save money and stay cool. For optimum comfort, set your thermostat at 78 F when you are home. Reduce the temperature 60 minutes before sleeping and increase it 30 minutes before waking. Remember that using a ceiling or room fan will allow you to raise your thermostat setting about 4 F without compromising comfort. Replacing your thermostat with a smart programmable thermostat is one of the cheapest and easiest changes you can make to your HVAC system. Smart thermostats allow you to remotely adjust your home's temperature via an app downloaded to an Internet-enabled device. These apps make programming quicker and easier, helping you to cool your home more efficiently. For more information on setting your thermostat for optimum comfort and efficiency, contact A. Borrelli Mechanical today to schedule an appointment.